I am currently visiting Chicago, a city that prides itself on its public works of art. Everywhere you go you can see beautiful, thought provoking works of art on public display. 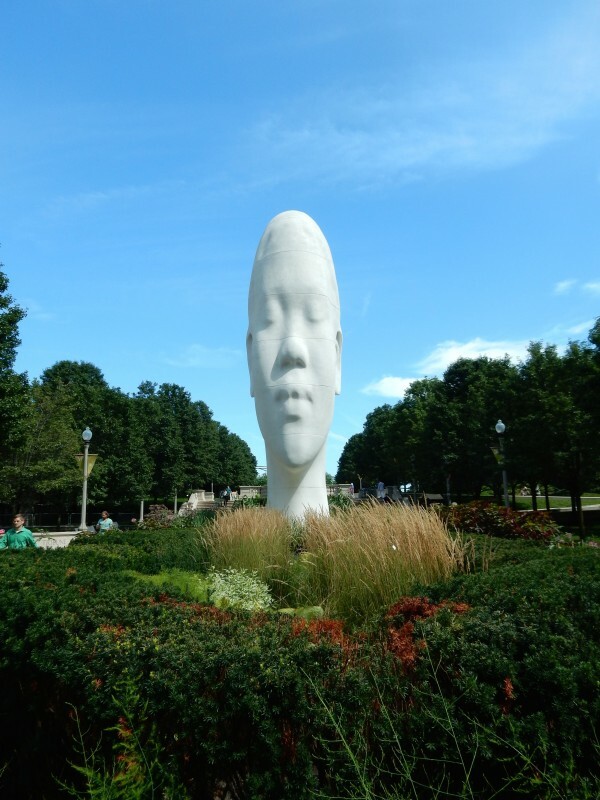 The Chicago Public Art Collection includes more than 700 works of art exhibited in over 150 locations around the city. The joy of these works is that they are free and accessible to all. These are not stuffy, tired old statues hidden in the corner of a park or library, thousand of people come to look at them every day and works like the Crown Fountain and Cloud Gate are interactive masterpieces. Included in this collection are five mind-blowing works that would grace any art gallery in the world. 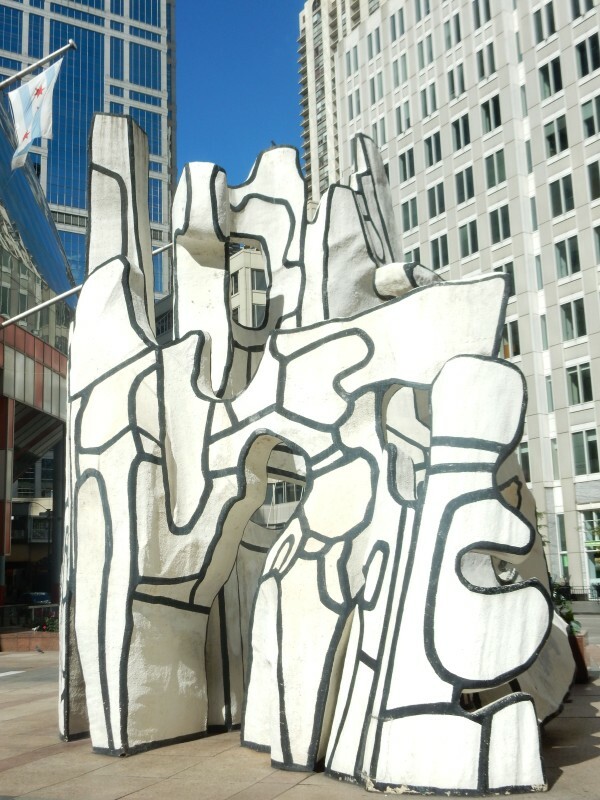 The granddaddy of the cities public art works is undoubtedly Pablo Picasso’s ‘Untitled’. This massive sculpture is Picasso’s vision of a hybrid of an Afghan dog and a women. 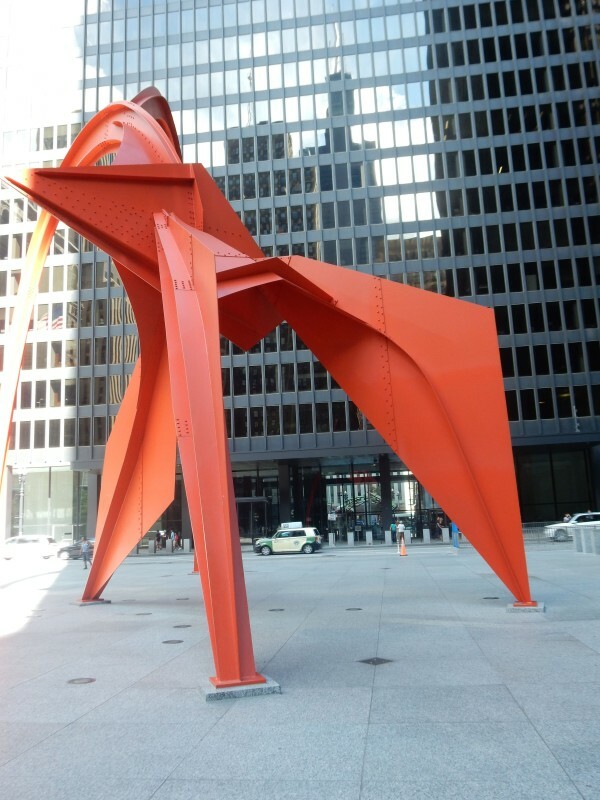 The US Steel Works in Gary, Indiana made it to Picasso’s specifications and it was erected in 1967 in Daley Plaza. 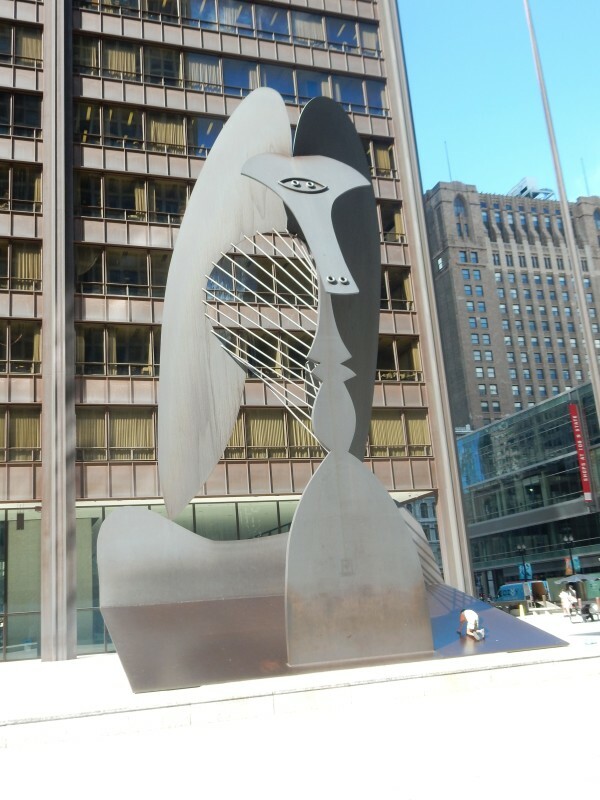 When the city tried to pay Picasso for the work he refused, saying it was a gift to the people of Chicago. Right across the street from the Picasso sculpture and tucked away in a shaded corner is a glorious 40ft piece by Joan Miro. Originally called ‘The Sun, The Moon and One Star. Made of various metals, tiles and cement. 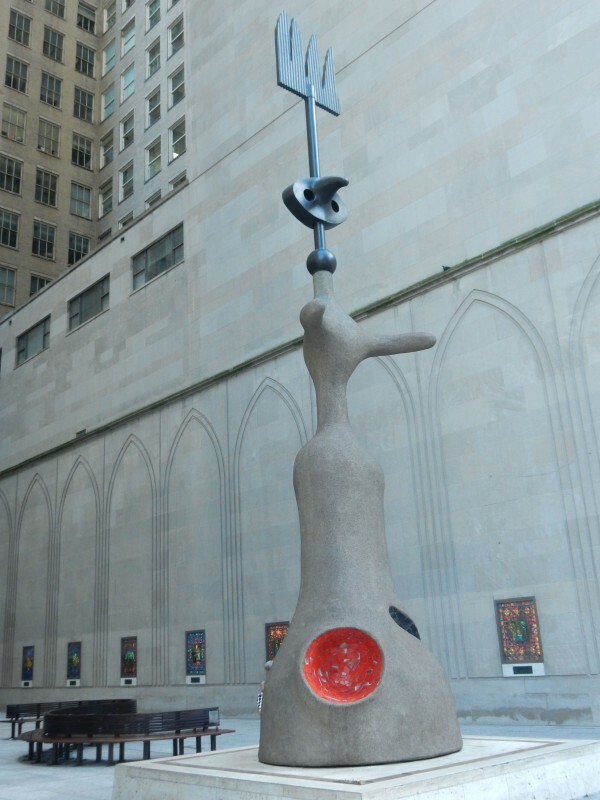 Miro’s sculpture evokes a private mythology derived from the artist’s memories of his homeland in Catalonia, Spain. Shapes and forms found in this composition evoke celestial imagery and common objects. Created by French sculptor Jean Dubuffet in 1984, this black and white fibreglass structure made up of interlocking pieces. Some of the corporations nearby have called for its removal, arguing children climb all over it and see it as a sort of ‘adventure playground’. 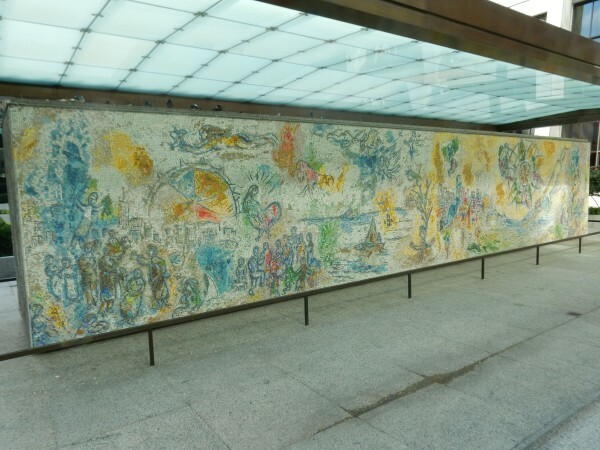 Russian born artist Marc Chagall loved Chicago and in 1974 he donated this mosaic to the city. Using thousands of small pieces of tile, glass and stone he has created a dream like vision of the city. As new buildings were put up in the city, Chagall would return to Chicago and update the mosaic. In a city full of dark and cavernous skyscrapers and corporate buildings this massive pink structure provides a bright contrast. Designed by Alexander Calder, the sculpture was opened in 1974, with Calder riding through the city on a bandwagon pulled by 40 horses and a circus parade. The featured image is a resin portrait of a young women designed by Jaume Plensa titled “Looking Into My Dreams, Awilda’. At 39 feet it towers over visitors who enter Millennium Park park. It is on display for a year. This is wonderful stuff. Hope you saw Malevich before leaving. Ultimate street art on the propaganda trains.